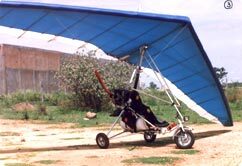 TWO SEATER POWERED HANG GLIDER, TYPE "VOYAGER"
The "VOYAGER" is a high performance, heavy duty powered hang glider, specially designed to perform long distance cross-country flights at full load. 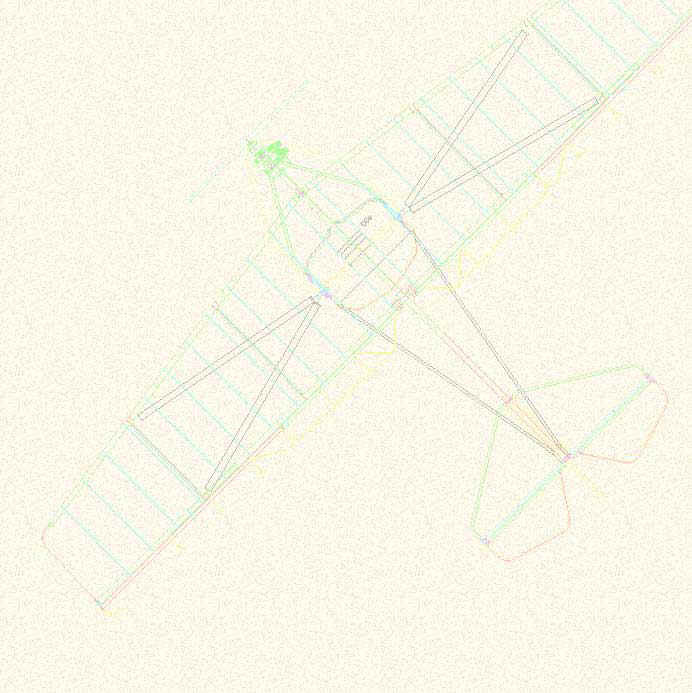 The "VOYAGER" belongs to this new genaration of hang gliders capable of travelling at speeds averaging nearly 100 km/h while retaining all the qualities required for all-terrain operations, i.e., short take-off and landing on rough ground.The standard power plant is same as the CLIPPER’s: ROTAX 503-2V UL (dual electronic ignition); another possible choice is the 4 stroke JABIRU 2200 developing 85 HP, the key to extreme distances with utltimate reliability. The following features are standard on the trike: suspensions on three wheels, separate fiberglass upholstered seats, large capacity fuel tank, electric back up fuel pump, halogen head light, saddle bags, tachometer, hand rewind starter, front wheel brake, trike and prop covers. The wing has been designed with a constant concern for eliminating unnecessary drag, aiming towards high performance: the latest series are fitted with an airfoil-shaped king post.